I first found out about Kingdom Hearts in a dirty bathroom stall. Once upon a time, the adorable younger version of me started his first job at Bashas’, a supermarket chain in Arizona. I was a good worker, but after being promised a series of raises and promotions and receiving zero of them, I started to get a little bit disgruntled. So from time to time, when the store wasn’t very busy, I would take a magazine off the rack and hide in the bathroom for 20-30 minutes while on the clock. One day, I stumbled upon a Game Informer issue that had a big exclusive on Kingdom Hearts, a bizarre mash-up of Disney, Final Fantasy and brand-new characters. I’ve always loved Disney, and back then I had just played through Final Fantasy VI and VII for the first time. The idea of this strange collaboration seemed odd, but I was on board after flipping through seven pages of articles and pictures of this new game. Some folks were not as sold on the concept (probably the same breed of idiots who looked at screenshots of The Legend of Zelda: The Wind Waker and immediately dismissed the art style). As we know now, though, Kingdom Hearts was a colossal success, selling the ninth-most copies of any PS2 game and sparking an entire series. The prolific Yoko Shimomura was tasked with creating a soundtrack that somehow blended the serious stylings of Final Fantasy with the breezy, light-hearted nature of Disney. Shimomura is one of the most well-known composers in the industry, dating back to her work on Street Fighter II (although she had worked on a couple titles before that, including the original Final Fight). The end result was a combination of familiar Disney themes (like This is Halloween and Under the Sea), Final Fantasy music (like One-Winged Angel), and plenty of new tracks that had a big impact. 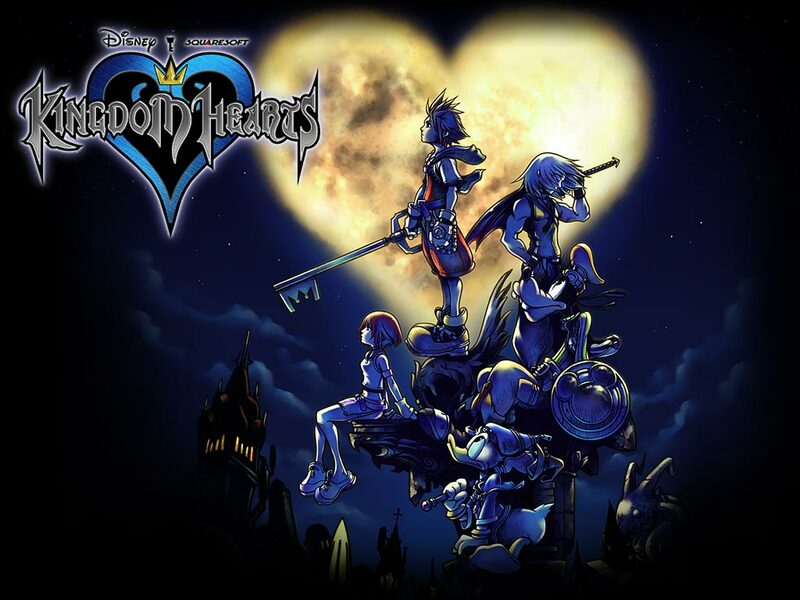 Here are five of my picks for the best music from the original Kingdom Hearts. Spoiler alert: Shipmeisters’ Humoresque will NOT be one of them. I mean, damn. You know this track already. Hell, Shimomura herself has said that this is her favorite track out of all the compositions she has ever done. It’s a hugely emotive piece that beats out a number of other great piano intro themes like To Zanarkand from FFX or Waterside from Blue Dragon. It’s also become a series staple, with alternate versions appearing in every title since. I think the version from KHII is the best overall, but this is still the most iconic. So it’s 2002. 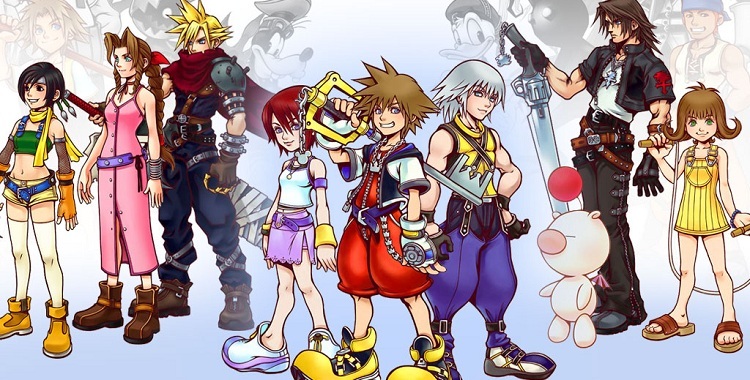 You’re playing Kingdom Hearts for the first time, and after you watch an acid-laced cutscene where Sora is underwater, and a tidal wave eats Riku, you find yourself in a strange, dark void with nothing around but stained glass pictures of Disney princesses under your feet. This music sets the stage: a haunting, reverent melody that somehow fits this mysterious situation perfectly. I remember this track especially well because I thought to myself “damn, this is not what I was expecting at all” — but in a good way. Screw Radiant Garden. Yes, it’s nice that Hollow Bastion has turned back into its true form in Kingdom Hearts II, but the theme from II is a watered-down version of the original, with its driving piano backdrop and forceful synth strings. Hollow Bastion is where everything starts to get serious — Riku takes the Keyblade from Sora, leaving him with a useless stick to defend himself until the Beast shows up and destroys Heartless left and right (STAND ASIDE!). Awesome, awesome track. …And after you slog your way through Hollow Bastion and earn back the right to wield the Keyblade, you find yourself in the coolest boss fight in the game. Riku’s had Maleficent in his ear through most of the game, and his heart has finally succumbed to darkness, meaning he gets an awesome new outfit and a badass Keyblade of his own. You’re battling for Kairi’s heart, which apparently has been inside Sora since the beginning. And this track, the best boss theme in the series in my opinion, is blasting in the background as former childhood friends square off. Regular readers of Music to My Ears know that I love boss themes. There are a handful of game soundtracks for which I have only kept two or three songs, and in those cases, it’s usually boss battle music. This is the music from the final boss fight from Kingdom Hearts, once Ansem has essentially become a puppet to the darkness, which embodies itself as a giant ship that has plugged tentacles into Ansem’s back and…okay, it’s a little weird. But the theme is undeniably epic, especially the part at 1:42 in this video. Nothing gets you hyped for an important, climactic battle like the perfect accompaniment. Music to My Ears covers soundtracks or individual songs from video games on a recurring basis, which is basically whenever Chris gets around to writing it. You can view all posts in the series by clicking here. I’m getting chills just listening to the last track again! Ah, the nostalgia. Thanks for posting these tracks- I had forgotten about some of them.